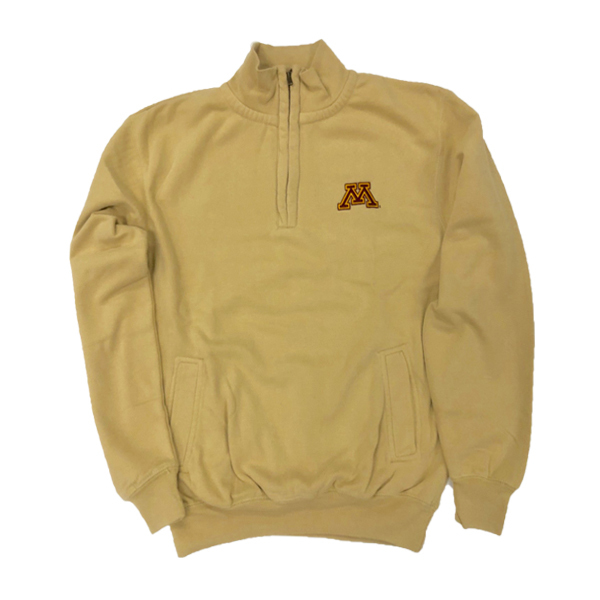 University of Minnesota 1/4 zip vintage fleece pullover from MV Sport. Embroidered M on left chest. Front pockets. 70% cotton / 30% polyester.